· Wendy’s hamburger chain was conceived long after McDonald’s already had a huge piece of the fast food pie. · Dominos and Little Ceasar’s exist in the same niche quite well (as do many, many others). · Marie Forleo, Carrie Wilkerson, Denise Duffield-Thomas and dozens of others all help online entrepreneurs find success. 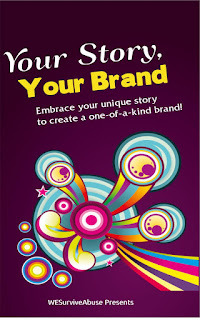 WE Survive Abuse Books: Your Story, Your Brand: Embrace you unique story to create a one-of-a-kind brand!